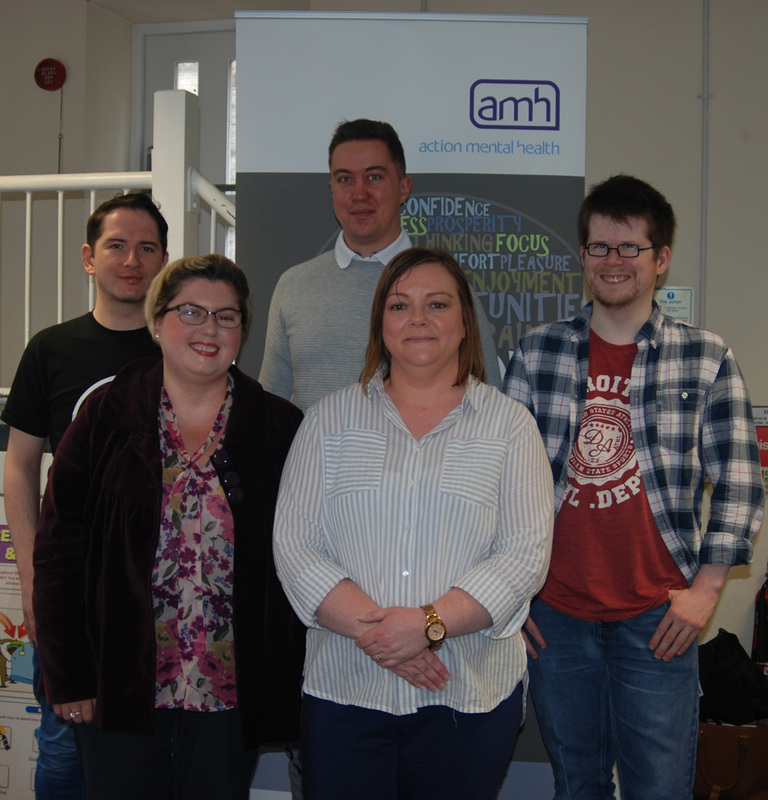 Earlier this month, Action Mental Health (AMH) New Horizons Belfast hosted a certificate presentation day to celebrate the individual achievements of clients. Located in Belfast city centre, the New Horizons service (which is part-funded through the Northern Ireland European Social Fund Programme 2014-2020, the Department for the Economy, and the Belfast Health and Social Care Trust) provides life changing services to those experiencing mental ill-health by aiding their recovery through employment, volunteering, training, support and advice. “It’s an honour to celebrate with clients who through their own hard work, determination and drive, have gained transferable skills that will open up opportunities in terms of their personal and professional development. “When trying to overcome the often debilitating effects of mental illness, it is important to remember that support from loved ones and services like AMH New Horizons are vital in the recovery process. “Not only is it inspirational to see so many people develop new skills which will be helpful to them both in the workplace and in their personal lives, but also to see the improvements in their mental well-being. “Over the course of the last year we have witnessed how much our clients have grown professionally and in their own personal resilience. “In the last year, 75 new clients joined our New Horizons service in Belfast, achieving 329 units or full awards of accreditation in a range of vocational areas. “Research shows that as many as one in four people in Northern Ireland will experience a mental illness at some point in their lives. “We at AMH New Horizons therefore connect with organisations to create employment and volunteering opportunities for clients who are recovering from a mental illness and want to re-join the workforce. “Our long-term vision is to break down the barriers of stigma and isolation by encouraging more people to open up and talk about mental illness and integrating individuals back into society. If you are unemployed, living with a mental illness and are interested in taking part in the New Horizons Programme, contact your Community Mental Health team, Condition Management team or Jobs and Benefits advisor, and ask for a referral to the service. To find out more visit the AMH website at www.amh.org.uk or call the New Horizons Belfast service on 02890278283.